Hammer & Steel offers a full line of hydraulic impact hammers from many of the world's finest brands including Dawson and Junttan. The impact hammers are extremely efficient by providing high production rates to get the job done quickly and cost effectively. 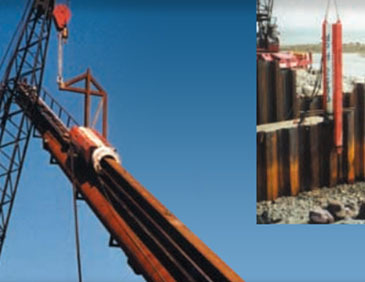 The hydraulic impact hammers are used for driving piles including H-piles and steel sheet piles. The Dawson Double Acting Hydraulic Impact Hammers are the fastest pile hammers available delivering high production rates for a wide variety of piling sections. 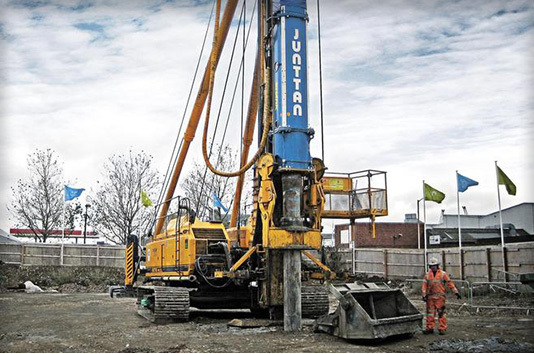 As a pioneer in the field of hydraulic piling hammers, Junttan manufacturers hydraulic hammers that offer up to 20% more efficiency than that of a traditional free-fall hammer of the same weight. They are suitable for driving steel tube pipes, sheet piles, precast concrete piles and timber piles. The stroke and blow rates are adjustable to optimize the pile driving performance in all conditions while the ram weight can also be changed to accommodate different pile type requirements.